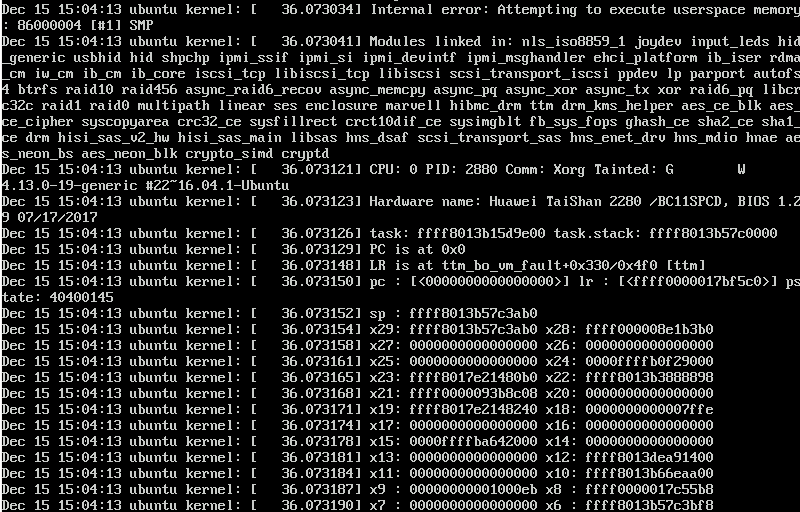 On Artful and Bionic kernels, X fails to start and a kernel splat is printed. 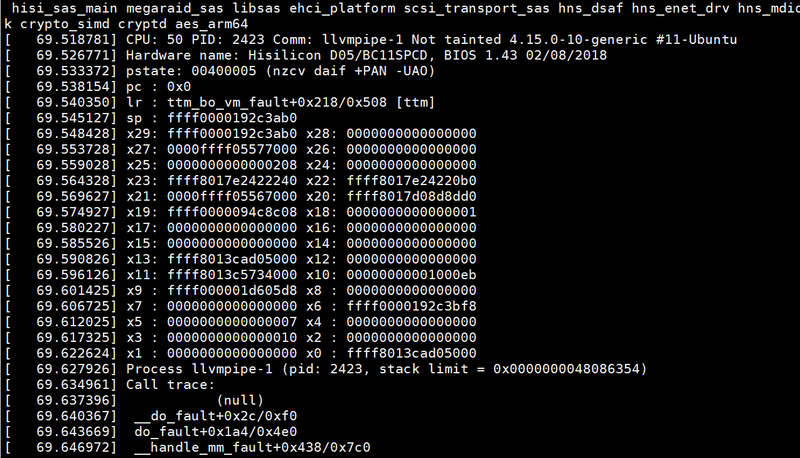 This is cbecause ea642c3216cb ("drm/ttm: add io_mem_pfn callback") is incomplete: the hisilicon hibmc driver does not contain the callback and so the kernel tries to execute code at NULL. Bionic: There is a generic fix in 4.16 at c67fa6edc8b11afe22c88a23963170bf5f151acf. It is part of a series that applies this generic fix and does a bunch of cleanups; we can safely just pick up the generic fix. Artful: Rather than a generic fix, I have submitted a very very minimal fix that only touches hibmc. Artful: Minimal - fix only touches hibmc driver. Tested on D05 board. Bionic: fix is to generic drm code, but is small and easily reviewable. Install patched kernel, try to start X. If it succeeds, the fix works. If there's a kernel splat, the fix does not work. Artful: HiSilicon would really like this fix in Artful in such time so that when the next 16.04 point release ships, the HWE kernel will work with Xorg. This patch need to merged and fixed for the release 16.04.04. The final SRU4 windows is 8 Dec. to 6 Jan 2018. This patch only change Huawei driver, it will not affect any other vendors. whether this patchset will merge into ubuntu 16.04.4 version or not? this patchset will important for our DO5 board, Can you check it please? I have talked to the kernel team about this and updated Fred off-line. > I have talked to the kernel team about this and updated Fred off-line. > On Artful kernels, X fails to start and a kernel splat is printed. > and so the kernel tries to execute code at NULL. > the entire section instead. > Minimal - fix only touches hibmc driver. Tested on D05 board. > Install patched kernel, try to start X. If it succeeds, the fix works. > If there's a kernel splat, the fix does not work. I installed 4.13.0-35-generic from artful-proposed. The kernel boots and X starts fine, so this has passed verification. this bug also affect this ubuntu 18.04.0 version which using bionic kernel branch(kernel 4.15), because this patchset have merged into mainline linus kernel 4.16rc1 (after kernel 4.15). I want to add this bionic tag, but i fail it. Can you add this bionic tag to merge this patchset into bionic branch. Thanks for the update. I have tried to nominate the bug for Bionic; I think the kernel team normally does this so we will see if that has worked. More importantly, I will test and send a patch for Bionic shortly. Hawei team just tested and verified this bug on 4.15.0-10-generic kernel on D05 server.